This is a very exciting time at Gran Pacifica! 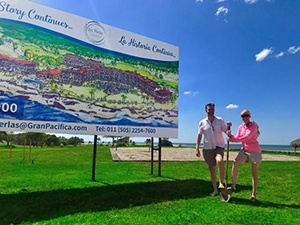 We have broken ground and begun construction on our Momotombo Building (Building 2) at Las Perlas Oceanfront Village (LPOV), with plans to hand the new owners their keys to their new suites around Christmas time. On December 10th, 2017 representatives from the Miss Earth International Pageant visited Gran Pacifica to help clean up trash along the beach. Miss Earth contestants are committed to service projects around the world, with a particular focus on projects related to conservation and preservation. 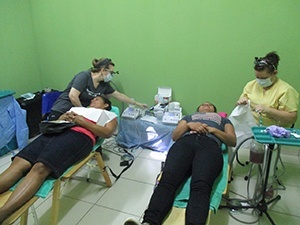 Last month, Gran Pacifica was once again visited by humanitarian group, “Hearts, Hands, and Smiles Foundation”, an organization that brings clean water, dental care, and education to impoverished communities in Latin America. “Over the river and through the woods to Grandmother’s house we go…” You know the song, except it wasn’t to my Grandmother’s house that I was going. 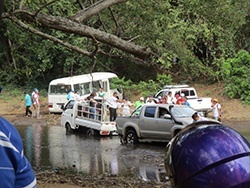 I was on my way to a Turtle Release Party in Nicaragua. 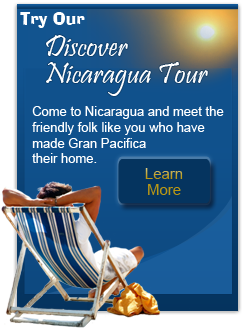 Thinking about bringing your beloved fur baby to Nicaragua from the U.S. or Canada? Here is a complete set of requirements you need to help guide you in your quest. 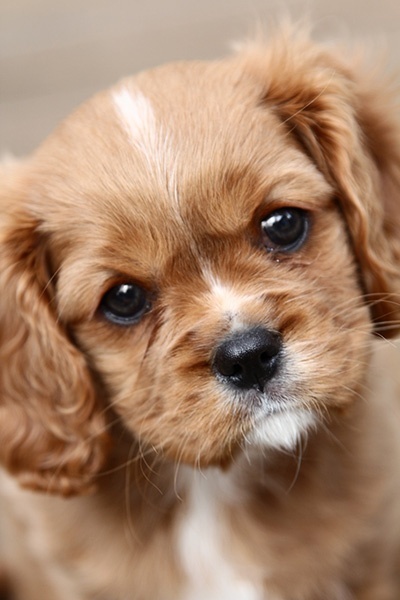 And soon, you and Fido, or Felix, will be off to paradise! It seems there is always something exciting taking place at Gran Pacifica and no shortage of friends ready to lend a helping hand whenever and wherever the need may strike. Back in December, we were thrilled to host representatives from the Miss Earth International Pageant. They came to Gran Pacifica to help clean up trash along the beach. Miss Earth contestants are committed to service projects around the world, with a particular focus on projects related to conservation and preservation. It was a fun time for all and they are always welcome back to our community. Just last month, a humanitarian group once again visited Gran Pacifica. The “Hearts, Hands, and Smiles Foundation”, is an organization that brings clean water, dental care, and education to impoverished communities in Latin America. The Roberto Clemente III Clinic at Gran Pacifica was one of the facilities that served as headquarters for volunteers during their trip. The organization performed many procedures and cleanings, and some of our very own Gran Pacifica community members were there to volunteer their skills and time to this wonderful cause. In “The Road to Salaminas”, Holly Wilson writes about her latest venture when she makes her way to a Turtle Release Party not far from Gran Pacifica. She has many laughs as she hits a few bumps (and rivers) in the road, but comes out unscathed with having made a few extra friends. 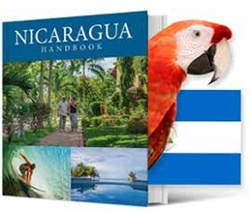 Thinking about bringing your pet to Nicaragua from the U.S. or Canada? Here is a complete set of requirements you need to help guide you the process. After all, life isn’t complete without our beloved family members, even when the road takes us to another country. This is a very exciting time at Gran Pacifica. We have broken ground and begun construction on our Momotombo Building, the second condominium building in Las Perlas Oceanfront Village. If all goes well, we have plans to hand the new owners their keys to their new suites around Christmas time. It will be a very Merry Christmas indeed.